There’s some exciting things happening and I’m SO excited to tell y’all about them!! 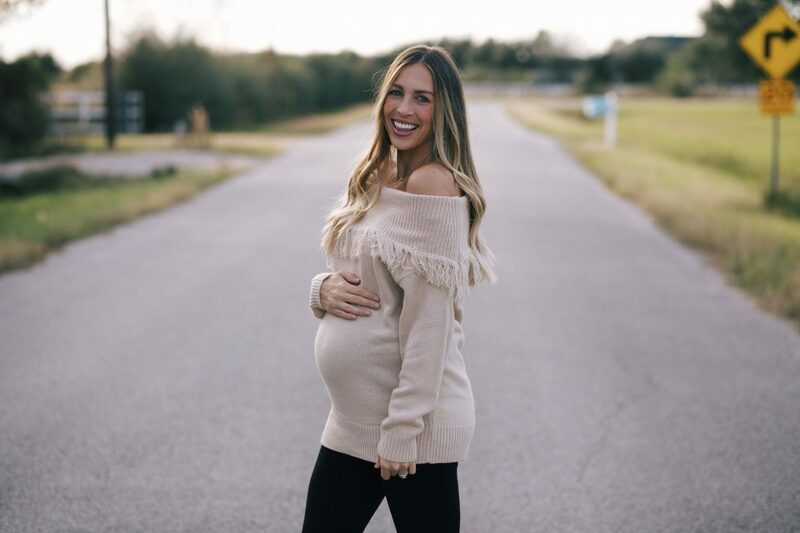 First off, I wanted to share this off the shoulder fringe sweater from ShopPinkBlush..
because it’s basically the cutest thing I’ve put on this pregnant belly of mine! the fringe detailing on this sweater just makes it THAT much more of a necessity. Holiday earrings on Christmas Eve! they’re doing awesome giveaways next week and I’m taking over their instagram stories on Tuesday for their 12 days of pink blush! Make sure you head to the ShopPinkBlush site to see all of the other cute sweaters they have in stock!! 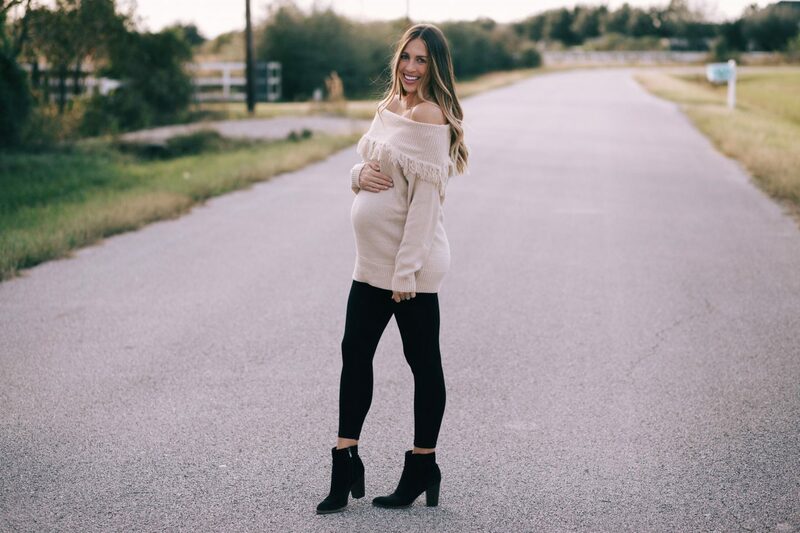 click HERE for PinkBlush maternity sweaters. click HERE for PinkBlush non maternity sweaters. Check out some of my other favorite off shoulder sweaters below! It’s officially Friday Eve, which means the weekend is ALMOST here!! if we could just get the rain to leave and the cold to stay I’d be SO happy! I always had such a hard time finding cute maternity clothes. I love these sweaters. You look gorgeous, such cute and comfy maternity clothes! Effortless chic. That sweater looks so comfy, and you look so dang cute and stylish! !